Car interior lights can be broken down into different categories like dashboard lights, dome lights, map lights, and others, and they can fail all at once or one at a time. Since there are so many different types of car interior lights, a failure can be either an annoyance or a real safety issue. In any event, figuring out what to do when your car interior lights stop working is usually a pretty straightforward diagnostic process that can be accomplished with some very basic tools like screwdrivers and a test light. What Are Car Interior Lights? Interior lighting is one of two pretty broad umbrellas that encompass all of the different types of lights in and around your car. The other category is exterior lighting, which covers everything from your headlights to your tail lights and everything between. Car interior lights can be further broken down by their specific purposes. Dome lights are usually located overhead and illuminate the interior of your car at night, while map lights, located on or near the sun visors, were originally designed to literally facilitate the reading of physical maps (links to PDF) at night. Dashboard lights can help you see your instruments, like the speedometer, at night, and are often adjustable to help prevent night blindness. 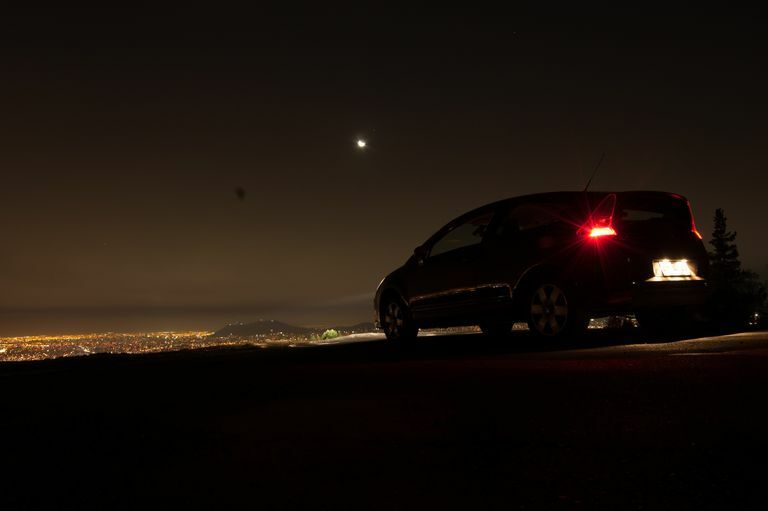 Some cars also feature other specialized interior lighting categories, like stepwell lights that help you get into your car at night without stumbling, and some even have “welcome mat” lights that project a logo or plain puddle of light on the ground when you open the door. Depending on the vehicle, all of the interior lights may be on one circuit, or there may be several circuits. One interior light may also be controlled by multiple switches, so there are a number of different potential ways for them to fail. For instance, a dome light may have a manual switch at the light, even though it can also be switched on and off, or dimmed, by a switch on the dash. When your car interior lights stop working, the best place to start is also the easiest fix. The most common cause of this problem is when someone other than the driver uses the dome light or dimmer switch. This can leave the interior lights in a state where they no longer come on when you open the door. Depending on how your interior lights are wired, and the types of switches you have, you may need to push a different combination of buttons to get your interior lights to come on. In general, you will want to try rotating the dimmer (if there is one) and try it in different positions. In some cases, rotating the dimmer all the way in one direction will cause it to click, which may either indicate it is in the on position or the off position. With the dimmer in different positions or the dash-mounted interior light button in different positions, you can try operating your dome light, map light, or other interior lights with their individual switches. If you aren’t able to get your interior lights to come on by trying different combinations of the dimmer or dome light switch, then you’re probably dealing with an actual failure somewhere along the line. When all of your car interior lights stop working at the same time, but other things like the radio still work, that’s a good hint that the root cause is something that all of the lights share in common. In most cases, that’s going to be a fuse, so that’s the next thing to check. Depending on how your car is set up, your fuse box may be located in or near the glove box, under the dashboard, or in the engine compartment. Some cars even have more than one fuse box, so your owner’s manual can be very useful in locating the right one. Failing that, you can usually search the Internet to find a picture of the location of your exact fuse box. The fuse that you’re looking for will usually be the “lights” fuse, although it can differ from one vehicle to the next. The only way to know for sure is to locate a wiring diagram for the specific make, model and year of your car, but checking out all of the fuses labeled “lights” or similar is usually good enough. While you can usually tell if a fuse is blown by looking at it, that isn’t always the case. Fuses can blow and still look fine, so the only way to actually check them is with a tool like a multimeter or a test light. If you have a multimeter, and you find no continuity between the terminals of a fuse, that means it’s blown. The easiest way to check fuses is with a test light. All you have to do is clamp one end to bare metal somewhere on your car and then touch the probe end to each side of a fuse. With the ignition key in the on position, your test light should illuminate when you touch both sides of each fuse. If your test light stays dark on one side of the fuse, that means it’s blown, and you should replace it with the exact same type of fuse. Never use a fuse with a bigger number, as doing so could cause catastrophic damage to the wiring in your car. While it’s technically possible for a fuse to blow without another underlying problem, it isn’t very common. In most cases, a blown interior light fuse means that there’s some kind of short somewhere in the system. It may be a permanent fault, or it may be temporary, but the only way to know for sure is to replace the fuse and see what happens. If you replace a blown interior light fuse and it blows again, that means you’re dealing with a short circuit. It may still be something you can handle yourself, but some shorts will require the attention of a professional technician. Most shorts can be traced to locations where wires routinely bend and crimp, so that’s the best place to start. If your car has map lights in the sun visors or lights located in the doors, then it’s usually a safe bet that you’ll find the short in one of those circuits. If you check all the wires where they pass through into your doors, or into sun visors, and can’t find the short, then your best bet is to call a professional. The last point of failure that can affect all of your interior lights at the same time is a bad door switch. These switches can be found in the door jambs of most cars, so they are often referred to as door jamb switches. When the interior lights in a car are working correctly, they will usually come on when you open your door and then shut off some time after you close the door. This process relies on a switch in the door jamb that opens when you open the door and closes when you close the door. These switches are often covered by a rubber boot that you can pry off with a flat blade screwdriver. The switch can then be unbolted or unscrewed. If you have a multimeter, you can test the switch by connecting to both terminals and checking for continuity. You can then activate the switch and check again. If the reading doesn’t change, then the switch is bad. If your interior lights used to stay on for a while after closing your doors, then there is probably some kind of timer module in the circuit. So if your fuses are good, the door jamb switch checks out okay, and everything else seems to be in working order, you may be dealing with a more complex problem. While replacing this type of component usually isn’t that difficult, throwing parts at a problem is seldom the best or most effective solution. With that in mind, a professional technician will be able to help you if you get this far without finding any obvious problems. When one or more interior lights stop working, and the others still work just fine, the problem is usually just a burned out bulb. This is very easy to check and fix. The first step is to remove the cover of the interior light that stopped working. This may require you to unfasten some screws, although many of these covers are literally snapped in place by hidden clasps. These can usually be popped out with the careful use of a thin screwdriver. With the cover off, the next step is to remove the bulb. Some bulbs are removed by applying light pressure and twisting, while others screw out like a regular lightbulb, and others are snapped into holders. In any event, with the bulb removed, you’ll want to turn on the interior lights and connect your test light between ground and each terminal of the socket, being very careful not to short out the terminals. If the test light illuminates, that means the bulb is bad. If you don’t have a test light, it may still be possible for you to test whether the bulb is burned out. In many cases, you’ll find that the same type of bulb is used in different places in your car. For instance, you may have multiple dome lights that all use the same type of bulb, or the bulbs may be the same in the door-mounted sockets. If you can find a bulb that matches the one that doesn’t work, testing it is a simple matter of swapping the working bulb with the non-working one. If you can't find a working one, then you can use an online fit guide to find the correct part number. In either case, the known-good bulb should light up when you replace the non-working bulb. If it doesn’t, then you’re actually dealing with a bad socket, a wiring problem, or even a fuse.